Resources for job seeking and professional development. The School of Women Entrepreneurs is now called Lidera and is expanding its range of support programmes, activities and networking on offer. 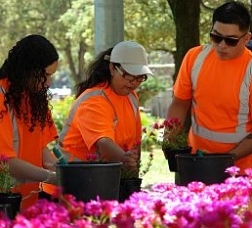 The City Council is fostering and promoting the Social and Solidarity Economy with resources that include training, support, economic aid, responsible public procurement and the allocation of venues and materials. Find out all about it! 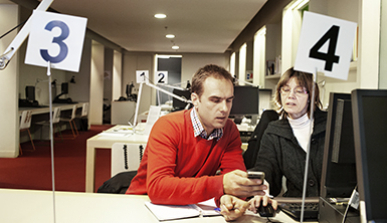 Information about the Business Support Office (OAE), which advises local and international companies. Find out how to participate in the business growth programmes and the training and networking activities they organise. 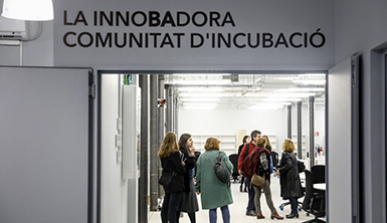 InnoBA is a Barcelona Activa facility offering activities, specialist services, research, training, opportunities for experimentation and project incubation, all within the sphere of the social and solidarity economy (SSE) and socioeconomic innovation. 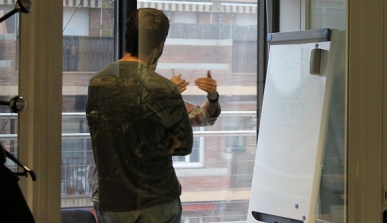 Barcelona Activa starts the IT Academy, a highly-specialised information and communication technologies (ICT) skills training programme to create the qualifications and profiles most in demand among companies in Barcelona. 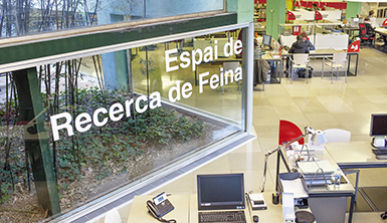 Digital-literacy programme at libraries to close the digital gap in Barcelona. 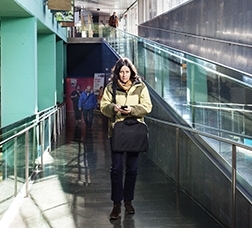 A programme to encourage employment for people out of work, by offering financial aid to companies for every new year-long contract they sign for jobs with salaries of over 1000 euros a month. If you're a young person looking for work, find out about the training, enterprise and job searching services offered by Barcelona Activa. 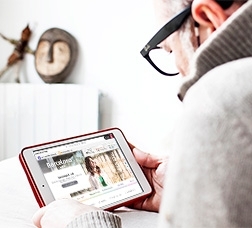 Barcelona Activa is to put a shock plan into operation to combat long-term unemployment via personalised training plans, courses and a consultant. 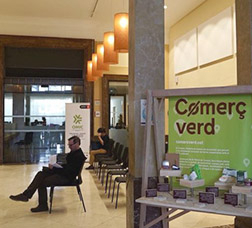 A new space aimed at training centres, associations and companies, with resources and proposals for promoting consumption from a responsible and conscientious perspective. 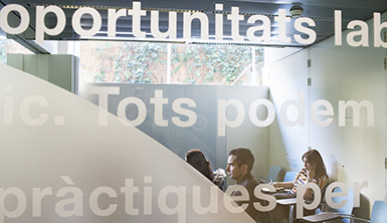 If you’re looking for work, register with Barcelona Activa’s Business-Job platform. You will receive work offers that meet your profile. 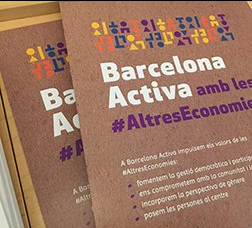 Barcelona Activa is launching a specialist and customised advice service to accompany and help people to get their social- and solidarity-economy projects off the ground. 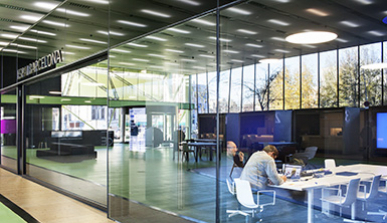 Barcelona Activa provides infrastructures and services for establishing newly created businesses, organisations and entrepreneurs. 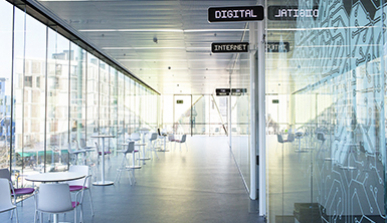 The Cibernàrium offers over ninety online activities, helping you gain ICT skills at your own pace. Check out the courses available. A programme especially aimed at people aged 30 to 45, to help them to find jobs through a professional-profile-establishing and mediation service, a training plan and incentives for companies. If you are between 16 and 35 years of age and you need some help to define your professional project or to find a job, you can sign up for a coaching session at Barcelona Treball Joves, and an expert coach in career guidance will solve any questions that you may have. Activities and advice programme for job-hunting in the city's various neighbourhoods and districts, part of a local economic development strategy. 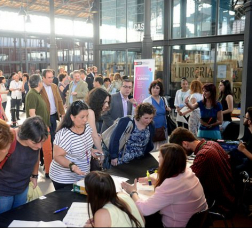 The Làbora Programme is run by the City Council in collaboration with Barcelona's social organisations and business network and promotes employment for people at risk of exclusion. Are you looking for work? Do you need to prepare for an interview? Fancy improving your CV? 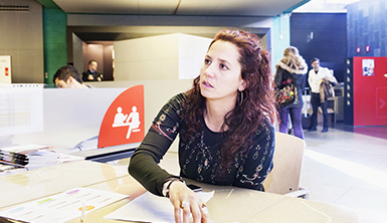 The Barcelona Activa team are at your disposal for clearing up your work related queries. Look for and identify the employment opportunities that best suit your profile and access job offers from the main job listing sites, updated in real time. 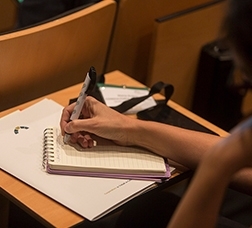 Find information on the current situation in the main professional fields and on personalised employment promotion programmes. Identify the different phases in a selection process and use the tools and resources available from Barcelona Treball to prepare for it and succeed. 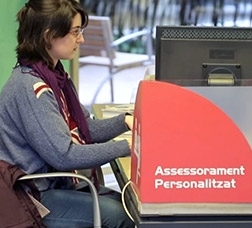 Look up information on administrative procedures to do with unemployment benefits and subsidies through the Catalan Employment Service (SOC), which has a network of offices and self-service points. Also find out how to make an appointment and about the resources for people who have labour integration difficulties. Are you young and looking for a job? Do you want to start a business? Learn about the advisory services that provide you with free support and guidance. You can also find information on studying or working abroad. Do you want to get your project going? 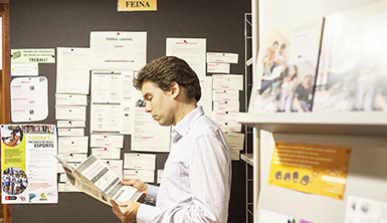 Use the resources provided by Barcelona Activa and Catalunya Emprèn, which will allow you to learn about the programmes, activities and services available to enable you to make the leap from idea to company. Ubica’t (find your place) enables users to conduct market research using data on economic activity and demographics. Based on the resulting report, you will be able to design a search that is tailor-made to your needs and obtain a customised document. If you own a business that is less than five years old, or are an investor or operate a support programme for startup creation and growth, add yourself to the Barcelona Startup Map platform and generate synergies with other companies in your field. 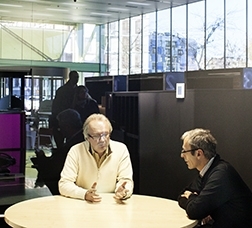 The Barcelona Activa Mature Ideas Programme offers resources to entrepreneurs over the age of 45 for turning a business idea into an enterprise. It provides tools, among other things, for preparing an enterprise plan, as well as tutorials and advice for raising funds. Public, private and mixed initiatives to promote growth, feasibility and the consolidation of cooperative and social economic projects such as alternative and strategic business models. 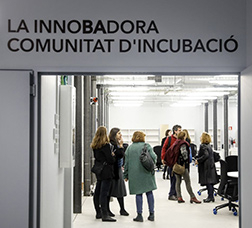 InnoBA is a Barcelona Activa facility offering activities, specialist services, research, training, opportunities for experimentation and project incubation, all within the sphere of the social and solidarity economy (SSE) and socioeconomic innovation. The centre is aimed at individuals and organisations who want to start initiatives, as well as those wanting to develop existing projects. Link up to this IT training and promotion programme whether you are a professional or a company. You will find Internet introductory activities and tools to develop your IT and professional skills. 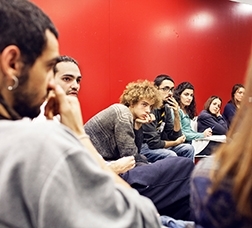 Enter the Consortium website and find information about lifelong training activities in Catalonia. This will help you to adapt to the knowledge society, enable increase your professional skills and obtain training throughout your life. Visit the Business Support Office to obtain all information of interest to your business, receive guidance, complete formalities and take part in training programmes. You will also find information on programmes of assistance for recruiting long-term unemployed workers over 40 years of age. Do you export? Do you want to internationalise your business? 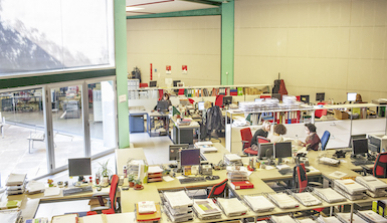 ACCIÓ, the Agency for Business Competitiveness, and Barcelona Activa provide the resources you need to drive your international activity at any of its stages. 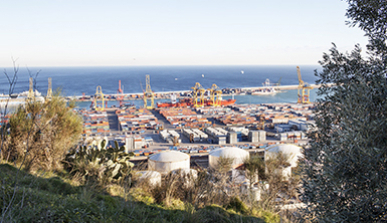 Do your form part of Barcelona’s economic activity? Are you interested in creating jobs, promoting investment or attracting talent? 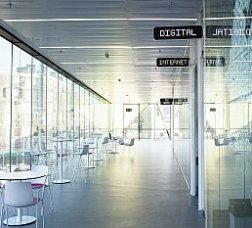 Use the resources provided by Barcelona Business and find information about the opportunities that the city’s strategic sectors offer. Want to know what else is on the Internet? We have compiled a collection of websites and blogs to help you make the most of the city. A tool for creating your CV which includes PDF and online versions and which you can share on a link or QR code. 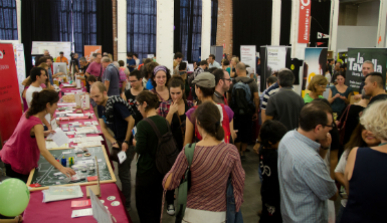 Barcelona trade fairs explained by participants. Useful information for small and medium-sized enterprises. 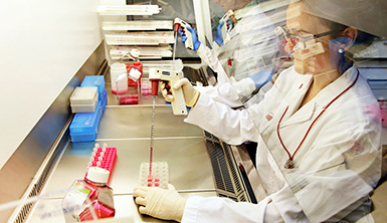 Institution that promotes economic and business activity, and defends companies' interests. Platform for the representation of business owners and entrepreneurs. Guidance on setting up a business by area.